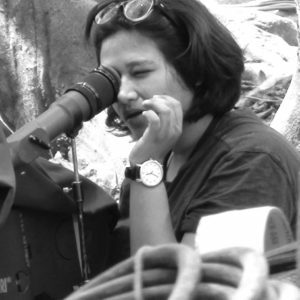 Vatsala is an Indian cinematographer based out of San Francisco & Mumbai. She graduated from FTII, Pune with an MFA in Cinematography. She has shot a feature documentary film “The Train Leaves at Four” and a feature narrative fiction “Summer Sacrament” and several short documentary and fiction projects. She has a valid Indian passport with a current US Visa, speaks 5 Indian languages and will travel anywhere for a compelling project.